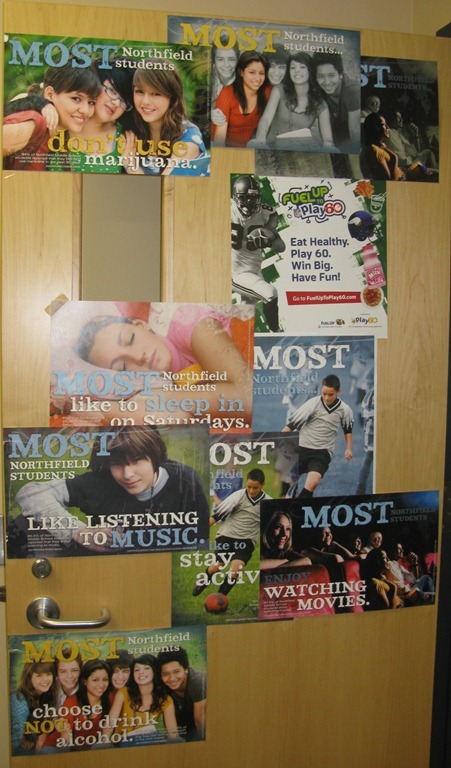 The ‘Most Northfield students’ campaign signs are plastered all over the Northfield Middle School these days. 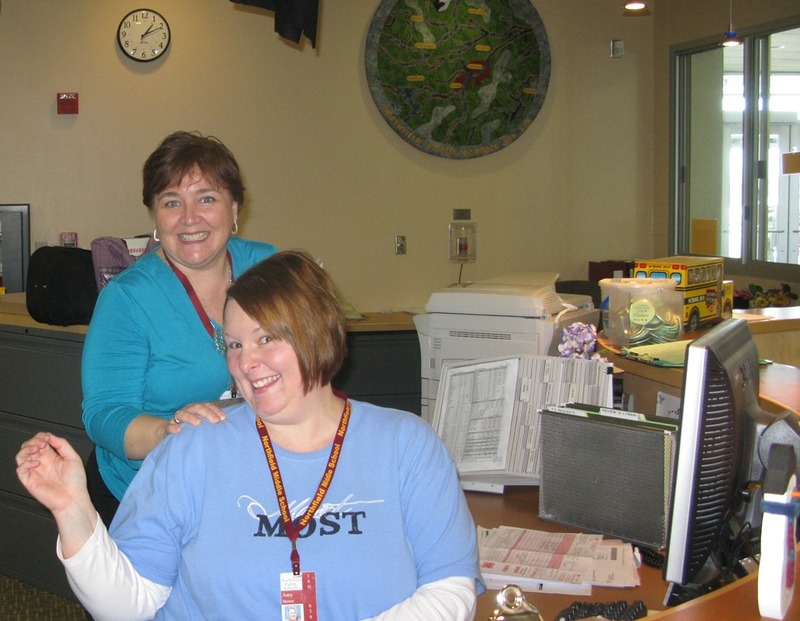 Today I noticed that the campaign now includes “Most” t-shirts that are being worn by some staffers, including Principal’s Secretary Amy Stowe, pictured here in office with Site Specialist Margaret Colangelo. 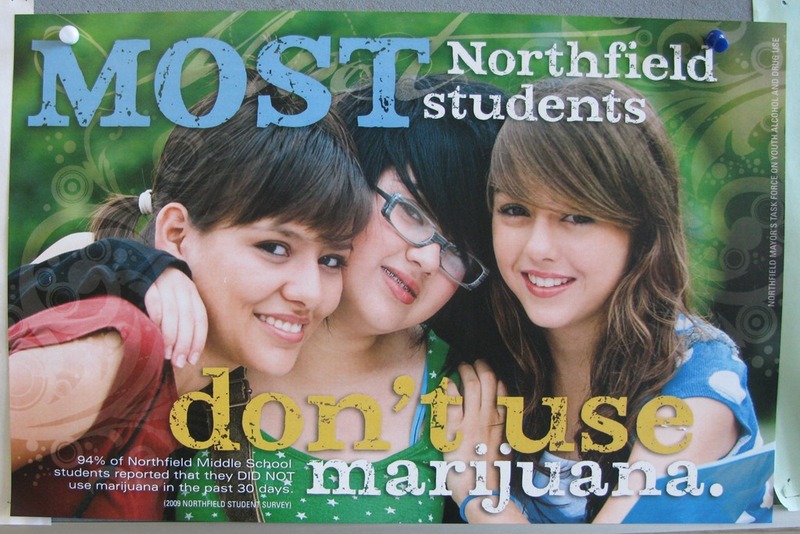 It’s all part of the Positive Community Norms Campaign of the Northfield Mayor’s Task Force on Youth Alcohol & Drug Use. Joan Janusz and Susan Sanderson, Co-Chairs, highlighted the campaign in the January Boards and Commissions memo. For more, see the April 2009 guest column in the Northfield News by consultant Heather Kuehl titled ‘MOST Northfield students’ initiative.